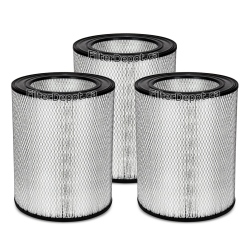 Amaircare 10000 TriHEPA Standard Annual Filter Kit is a Set of Three Amaircare standard replacement filter kits. Amaircare 10000 TriHEPA standard annual filter kit fits Amaircare 10000 TriHEPA central air purifier with molded HEPA filters. 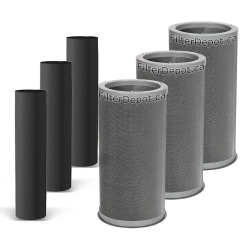 Carbon Pre-filter - 3 ea. Inner Carbon Blanket filter - 2 ea. 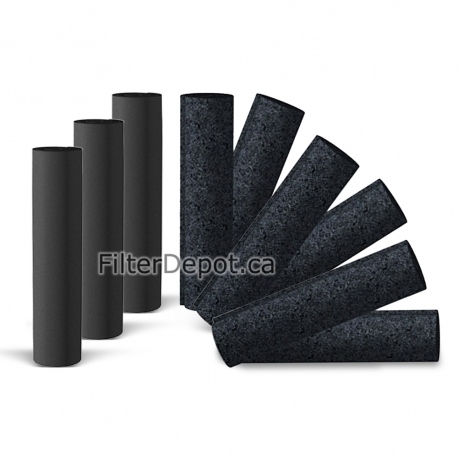 Total Filters: 9 Carbon Pre-filters and 6 Inner Carbon Blanket filters. The 10000 TriHEPA standard annual filter kit is good for a one full year of operation. Amount of adsorbent 0.6 lb. (2.72 kg.) ea.